Danielle Eubank is an expedition artist. She travels the world on expeditions capturing images of water. Her paintings are at times surreal yet realistic– abstract and cleverly inferred. 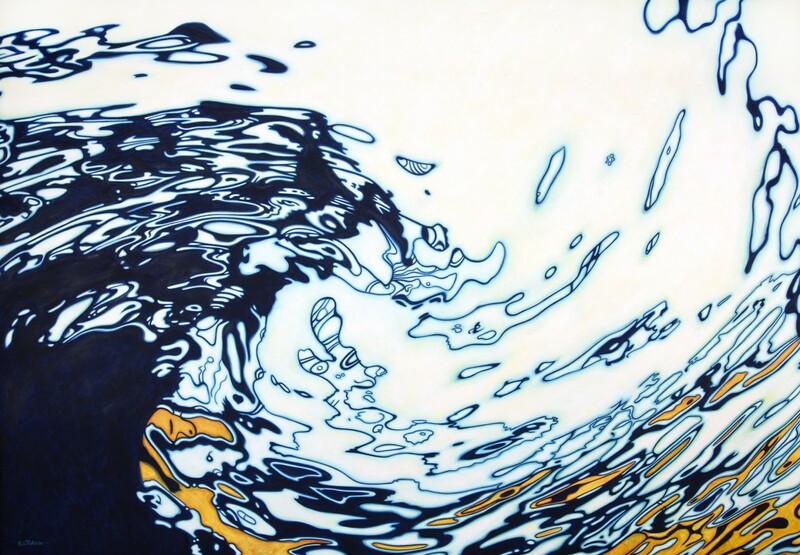 The idea that all water looks the same is quickly dispelled when viewing her work. Eubank employs an uncanny ability to capture the personality, the essence, the dynamism of water, and extend to the viewer the opportunity to be lost in knowing a reflection of light here or a ripple there. Her 20-year quest to paint all the oceans on earth will be realized this February, when she completes an expedition to Antarctica. This exhibition will feature some of her most recent work. Eubank has been on more adventures than one can count. She served as expedition artist aboard the Borobudur, a replica ancient Indonesian vessel that rounded the Cape of Good Hope sailing from Indonesia to Ghana, a journey of 10,000 miles. She also sailed on a replica of a 2,500-year-old Phoenician ship that traveled from Syria and circumnavigated Africa, to name just a couple. Danielle Eubank is a recipient of the Pollock-Krasner Foundation Grant, and has exhibited in the U.S., Europe and Asia. She lives and works in Los Angeles. Image: Danielle Eubank, Arctic X, Oil on linen, 42 x 60 inches, 2017. Courtesy of the artist.